A large part of your business is client management. And we get how difficult that can be! To save you some time, we've launched a Client Panel support page for you to leverage for your website. 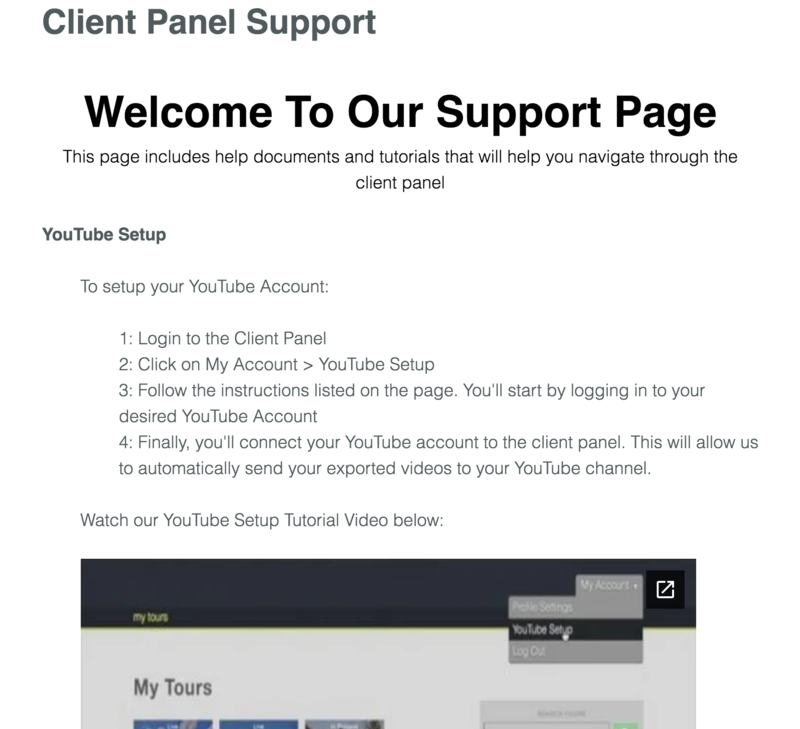 This page includes instructions and videos on how your clients can connect their YouTube accounts, edit the tour, download photos and more! To view this support page under your branding, all you'll need to do is swap out the tourbuzz.net portion of the URL and enter your tour domain instead. Can I change the page itself? I don't allow my clients to edit tours. Unfortunately not, but please feel free to leverage the information on the page for your own website. My clients have asked a few questions that are not answered on the page. Can they be added? Yes, just email them to support@tourbuzz.net and we will look into adding more information to this page.